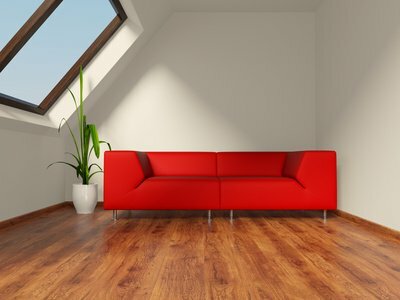 A new living room is usually low on the list of options when homeowners consider an attic extension but, as long as you are not desperate for another bedroom, it is something you may like to think about. As we shall see there are several advantages to utilising the roof space for another reception room and more and more homeowners are becoming receptive to the idea. The first essential for a living room should be a large window or two. Regardless of whether your property is in the city or countryside the views from an attic extension can be breathtaking and the best reason to consider this style of loft conversion. Perched high above everyone else watching the sun rise or stars sparkle can be magical. As is watching a storm splattering the windows above you while you recline on the sofa with a bottle of wine in your cosy new loft room. Making good use of the available space is essential and accurate measuring will enable you to place stylish and contemporary furniture in your loft room. Two seater sofas are wonderfully versatile and great space-savers and, together with subtle lighting and stylish modern furniture can help create an elegant living area. Crisp and clean decoration is the key and I guarantee that your new room will be a wonderful place to entertain (and to show off to) friends. This kind of loft conversion can become a private retreat and, although it’s probably only psychological, being at the top of the house just makes the rest of the world, and its worries, seem so far away. 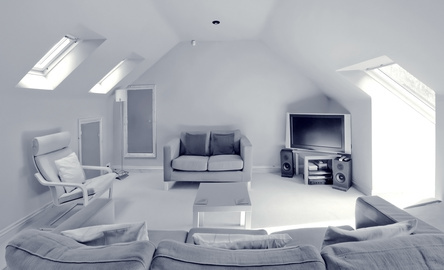 A loft living room really is the ideal place to relax and unwind. The downside? It’s a heck of a long way downstairs to answer the door bell only to find another cheesy double-glazing salesmen on your doorstep.